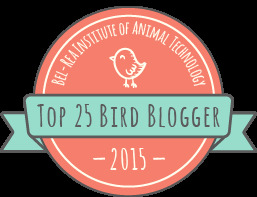 Philly Bird Nerd : NUTS! 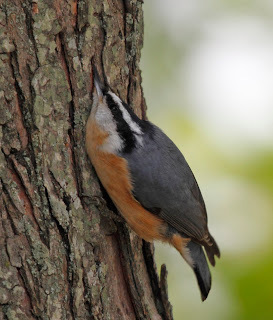 I have never seen so many Red-breasted Nuthatches as this week. They are everywhere! The experts counted 213 of the little buggers flying past Higbee in one morning. 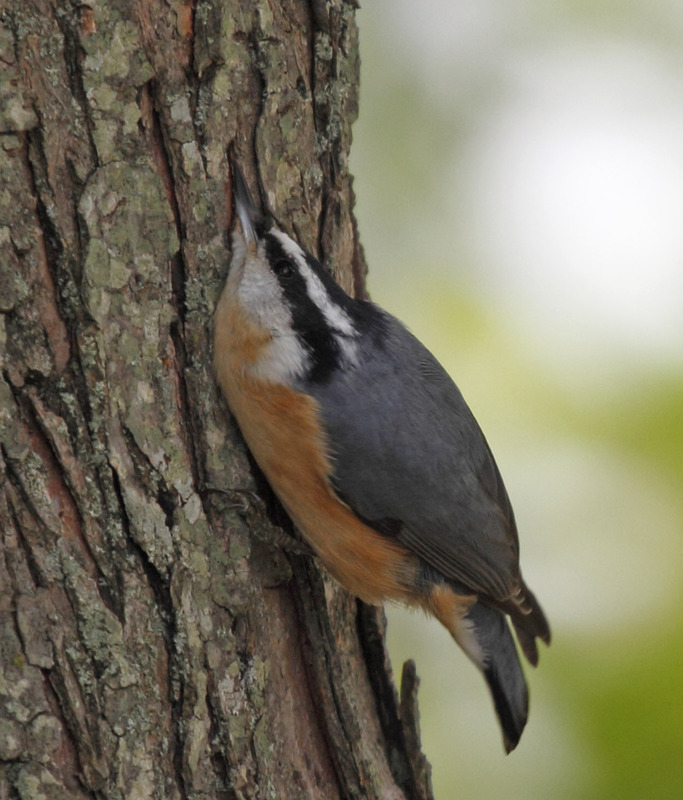 We had 4 of them in our yard on the big Tulip tree on Sunday. Here is a good photo of one showing what it does best - which is picking under tree bark for bugs. Look at the color of his breast. Connie wants a blouse in that color. 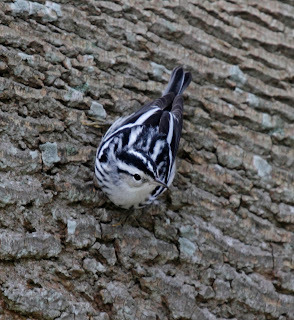 Another little cutie showed up on the same tree while I was trying to get a shot of the nuthatch. 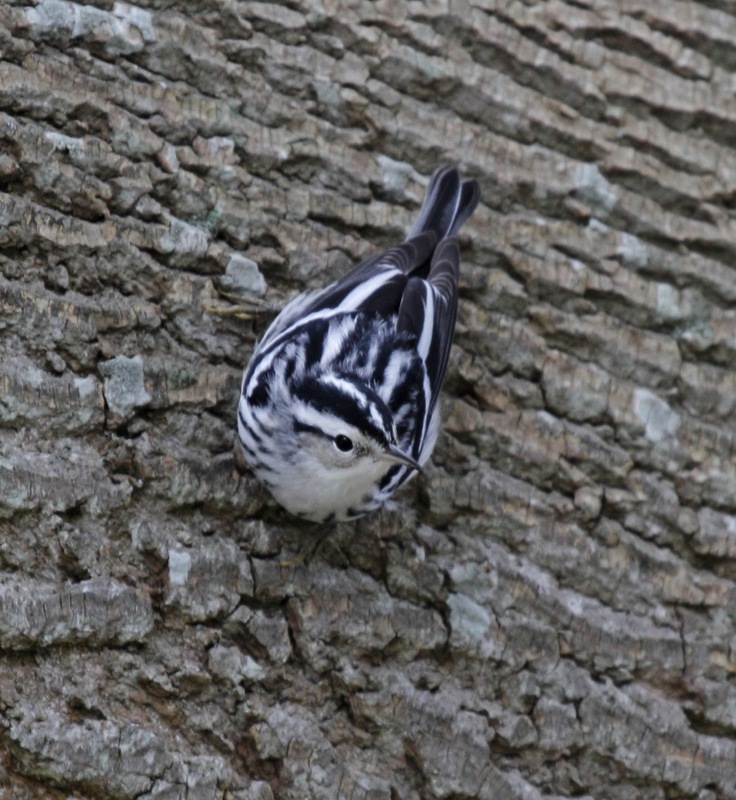 A Black and White Warbler. This photo is enough to make your eyes cross. I can't look at it for too long without feeling like a seizure is coming on. It wouldn't be so bad if he would pose in the same direction as the bark. Cute little bird though.